In a mobile payment marketplace saturated with apps, Facebook has two major advantages. First, it’s Facebook Messenger. Many consumers already have and use this app to communicate with their friends. This eliminates the barrier to entry that most mobile payment methods face when getting people to download the app. All the user needs to do is add their credit card information to the app and they’re ready to go. The second advantage is that it’s free. Most mobile payment apps include some form of transaction fee. Facebook doesn’t need to monetize this feature because the benefit to Facebook comes from having a lot of users with their payment information already stored on Facebook. 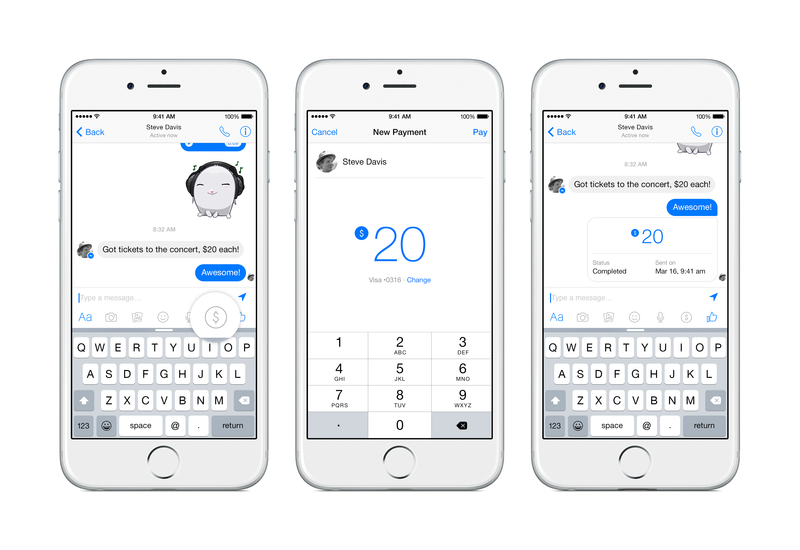 Adding this payment feature for friends on Messenger can one day turn into a way to pay for other items with the app. One disadvantage of using the Facebook Messenger payment system to send money between friends is that it can take a while for the funds to become available. This is because Messenger acts as a payment portal between two bank accounts. The money is transferred right away, but it may take one to three business days to make the money available to you depending on your bank, just as it does with other deposits. This is in contrast to services like PayPal, where funds transferred between PayPal accounts are available immediately. Facebook has already touted some of the security features the app will have. There will be protections to stop unusual activity or transfers. Users can also create a PIN to provide additional security. On iOS devices, users can also enable Touch ID. Facebook also says there are other layers of authentication that can be added to the account at any time. The new payments feature is rolling out in the coming months in the US across Android, iOS, and desktop. It’s too soon to say how this feature can be used to help business owners, but it could be useful for non-profits seeking donations. Whatever the impact, it’s almost certain to shake up the mobile payment industry a little. For more information on recent changes to Facebook, read this article on Facebook’s announcement of more access to Topic Data for select partners.